What if we made art according to surveys? What if artists, like many politicians, relied on polls? This week, the public radio show This American Life features an interview with two digital artists, Vitaly Komar and Alex Melamid, who received a grant from Chase Manhattan Bank to determine the attributes of the most and least wanted painting. To do this, Komar and Melamid conducted a number of online surveys allowing participants to choose their favorite elements from famous works. The result has been called the "most wanted" painting. Having read through study, it is difficult to determine the level of professionalism in its methods. The results were only published online and were never peer reviewed. Regardless of its integrity, it is an interesting exercise. 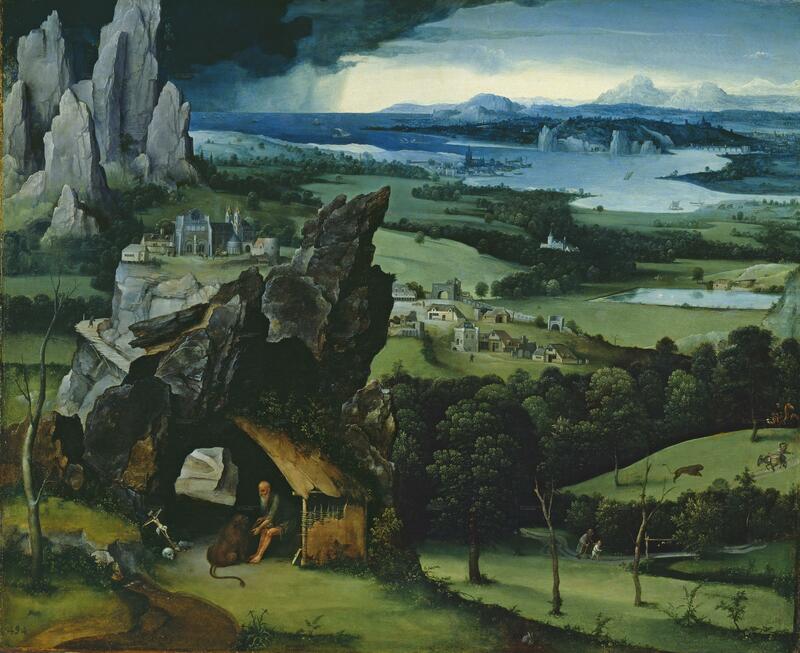 The elements read like a description of any number of sixteenth-century Flemish paintings. Several years ago, I had a conversation with one of London's foremost dealers of Old Masters paintings. 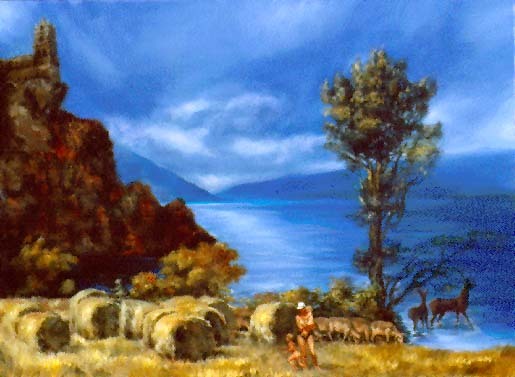 He told me that, of all paintings, landscapes were the most popular in his gallery. When asked "Why?" he responded: "I suppose it is because they are the least controversial. They can be enjoyed without taxing the viewer. And, they do not make any overt political or value statements that need to be defended." No doubt there are many reasons to love these paintings that have little to do with political correctness. 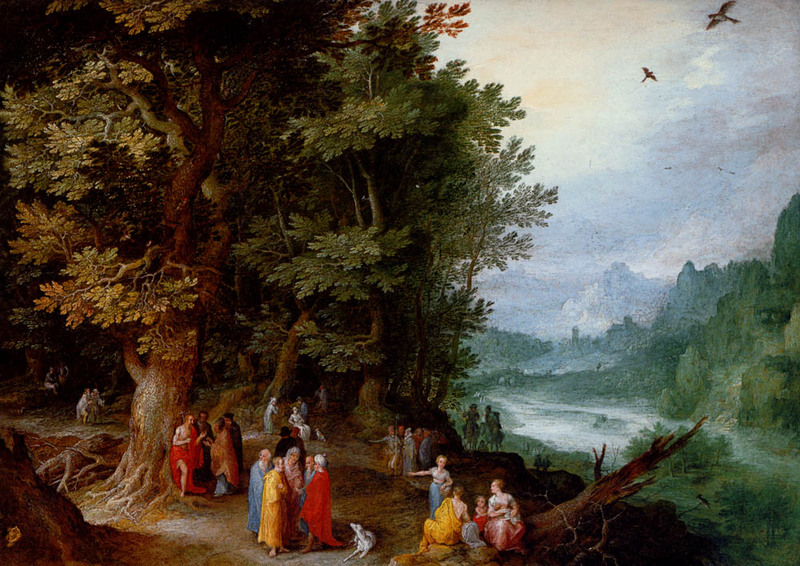 Personally, I love works by Patinir and Jan Breughel. They were often small and, rather than hung on a wall, meant to be looked at while holding them on a lap with with a magnifying glass. The paintings are full of rich detail, distant views, and multiple paths. These are works that can be looked at again and again, each time with a new discovery. The idea that painting could be put together by committee flies in the face of our belief in the lone genius painter. However, in their public radio interview the authors of "The Most Wanted Painting" study are quick to point out that the notion that our ideas about a creative genius are just as clichéed and inaccurate as our judgment that painting by polls are somehow unable to create good art. 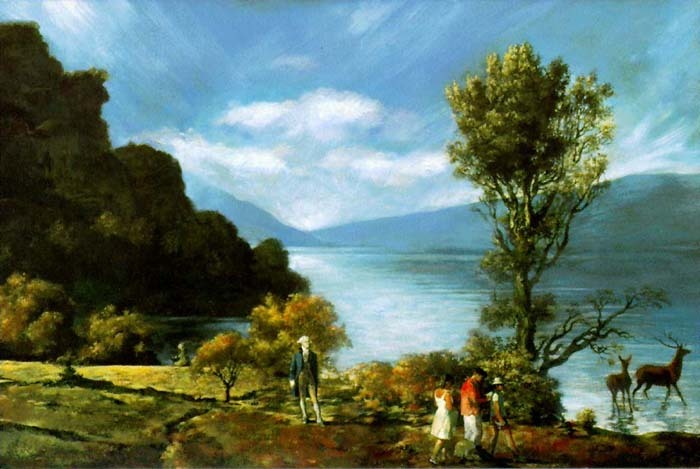 Though I am not suggesting art should be created by polling, I would suggest an adjustment to anyone attempting to repeat and improve upon the "most wanted" painting. Several years ago, Malcolm Gladwell, author of many books and a writer for the New Yorker, gave a lecture on "What we can learn from spaghetti sauce." In it, he profiles a food scientist that found that instead of trying to satisfy the American palette with one perfect spaghetti sauce--the unreachable Holy Grail for food production industry-we should be looking for the perfect sauces. According to taste testings, Americans fell into one of three categories of spaghetti sauce. The same proved true for coffee and a number of other foods. As a result, most companies produce a limited variety of each category of food to meet the needs of each general group's taste. If I were a gambling man, I would bet that the same would be true for the "most wanted" painting. Perhaps someone reading this would be able to convince Chase Manhattan Bank for a second grant.